The Falkland Islands Association said a final goodbye to its much respected Honorary Secretary Colin Wright on the 15 October, as did his relatives and many other friends. Colin had borne his final illness bravely. His funeral at the Church he loved, St. George's, in his home town, Shrewsbury, was very well attended. The mourners were led by his widow Pat and daughter Wendy. 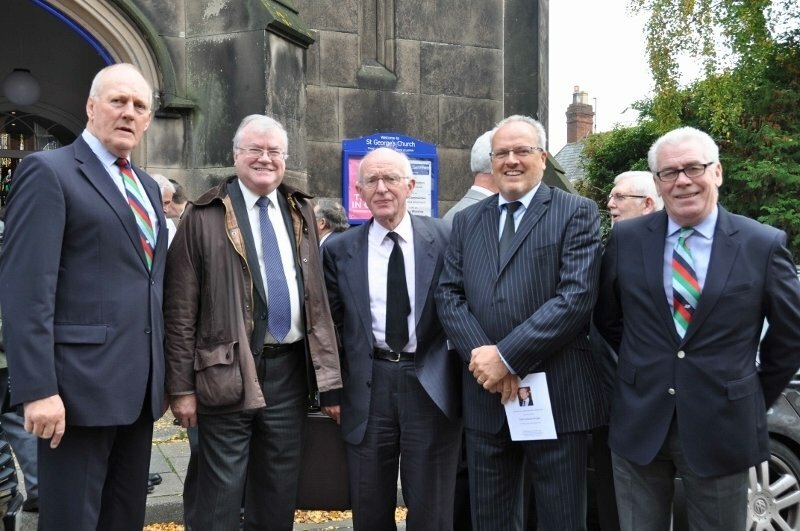 Many of his former colleagues in the West Mercia Police were there. 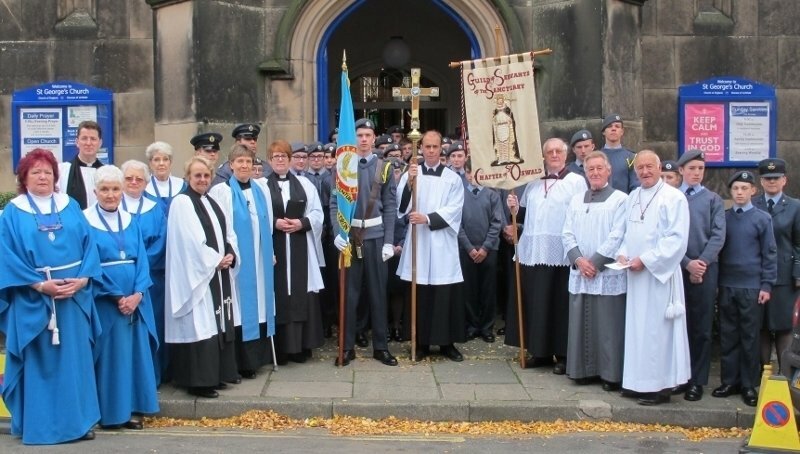 The air cadets, to whom he was Chaplain, formed an honour guard and many others packed out the small church. The service was conducted by Vicar Murray McBride, assisted by the Revd. Lynn Davidson. Colin's many other interests were mentioned particularly his membership of the John Betjeman Society and his love of wildlife. It was this last that led to Colin's interest in the Falkland Islands. He had visited the Islands twice to see the flora and fauna there and, like so many visitors, fell in love with it all. This led him to become a staunch supporter of the rights of Falkland Islanders' and to be a very valuable volunteer for the Association. The music and prayers had been chosen by Colin himself. The service began with Aaron Copland's Fanfare for the Common Man followed by the hymns Dear Lord and Father of Mankind, The Lord is My Shepherd, O Lord My God When I in Awesome Wonder. The service ended with Amazing Grace. The Falkland Islands were represented by Falkland Islands Association Vice-Chairman and islander, Saul Pitaluga and by two former Falkland Islands' governors, David Tatham and Donald Lamont. Sama-82 was represented by its current chairman, veteran Gordon Mather and by former SAMA-82 chairman and veteran Mike Bowles who is also a member of the Falkland Islands Association Committee. Mr Peter Pepper was also present. The funeral was followed by a private committal and then a reception.